This looks so good, I love the color the cranberries give. It’s not warm here but I believe New England eats a pretty good share of ice cream so sure it would go down well no matter the weather! I was so looking forward to seeing this when I saw the name on the recipe spreadsheet. This sounds delicious! This looks fabulous! 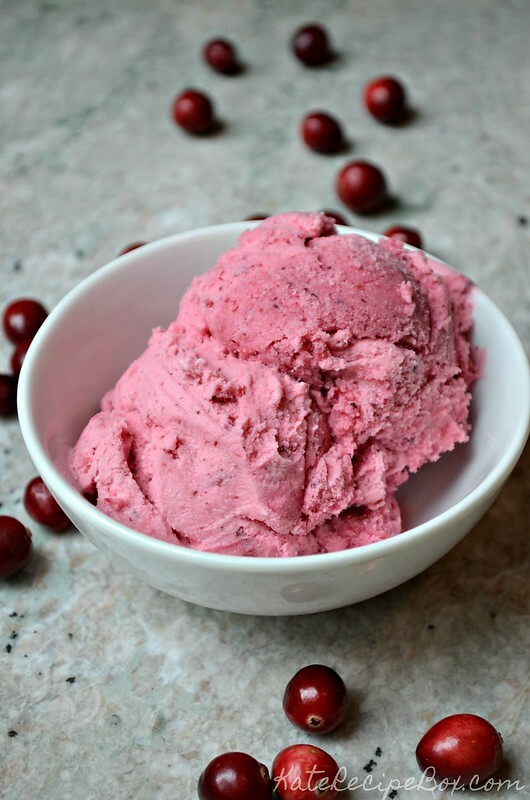 I love making ice cream and we tried a cranberry last week. It was delish. You used more cranberry so yours is super vibrant and I love it! Definitely need to try your recipe! You know, it’s funny. I agree that I can’t imagine Thanksgiving (or Christmas) in warm weather, but every year, we have an unseasonably warm Christmas, so it’s nice to have a fall dessert in mind for unpredictable weather. Not only is the color stunning but I am imaging a scoop of this next to a slice of gingerbread. This looks so bright and refreshing! 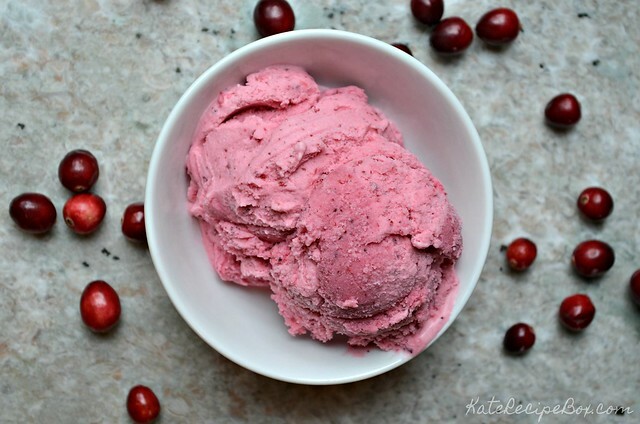 I’ve never tried cranberry ice cream, but I think I just might have to! 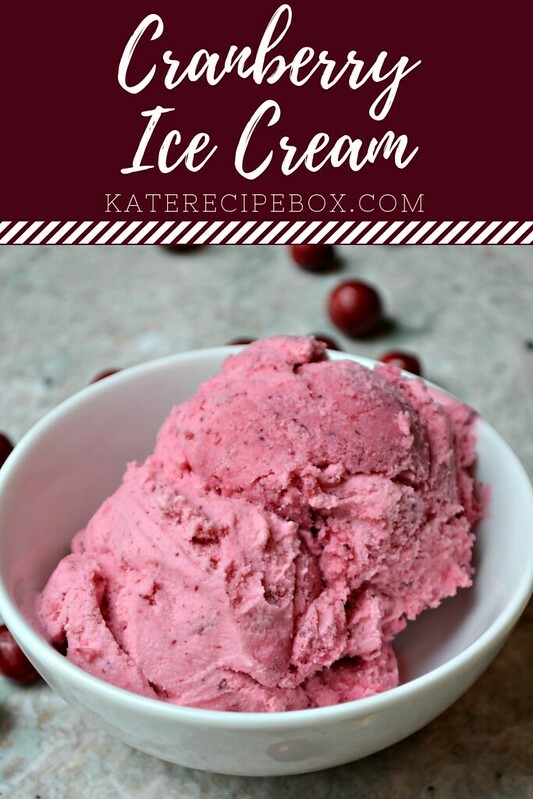 What a fun and different dessert to serve up for the holidays. Imagine a scoop of this in a cranberry apple pie! Yum! 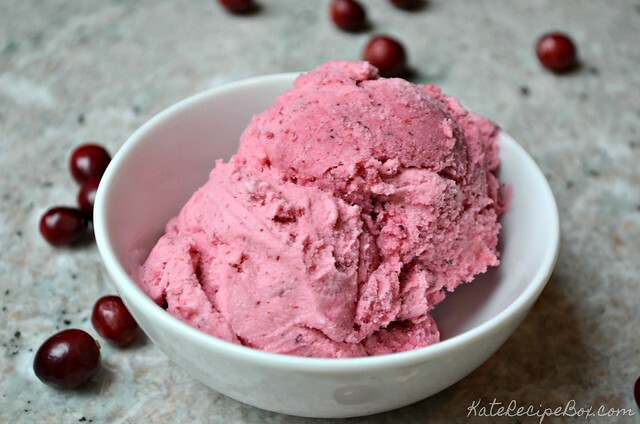 We love ice cream of any kind and have never tried cranberry so this looks inviting. This would be delicious with a slice of apple pie!